Our Pope High School Homefinding Process And Results Are Unmatched…And We Do That Faster Than Any Other Realtor! Call Us to Find Out How We Do It! LIMITED TIME BONUS: BUYERS, WE PAY YOUR CLOSING COSTS UP TO $15,000! SELLERS, WE PAY ALL YOUR CLOSING COSTS! Showcasing ONLY Pope High School District homes for sale! 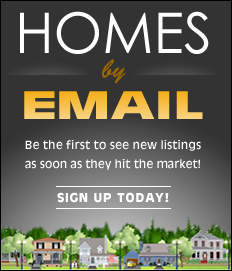 See listings for all available Pope High School District Homes by price, map, or zip code! 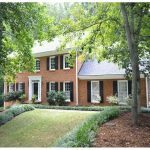 Welcome to GreatPopeHighSchoolHomes.com – one of the few websites dedicated solely to Homes for Sale in the Pope High School District! Here you can search and find all Pope High School District Homes For Sale by searching our Showcase Dual MLS Home Search software. GreatPopeHighSchoolHomes.com provides the most complete and accurate source of property listings and related information about homes for sale in the Pope High School District. BUYERS: Because this website focuses ONLY on listing data and market information about homes for sale in the Pope High School District, it is an unmatched home finding resource! Visit our links to see Pope High School and Feeder School Maps and click links to see East Cobb school test scores. Powered by Dual MLS services, you can access and view Pope High District Homes For Sale, listed by every agent and broker firm in Atlanta. You can view photos, bookmark and save homes, and find updated and timely community and real estate market news, and school information relevant to people living in the Pope High School District. SELLERS: The same uniquely targeted market focus that is an advantage for buyers looking for Pope High School District homes for sale, gives you an advantage as well. The constantly updated and refreshed Pope High School District home listings, and ongoing East Cobb and Pope High School area information gives this site a decided SEO advantage over ordinary static real estate agent or region-wide brokerage websites – a major benefit to sellers of Pope High School District homes.Your Pope High home can receive unprecedented exposure on this sites and our seven sister sites devoted exclusively to East Cobb’s real estate, neighborhoods, and top school systems! Whether you’re a Buyer or Seller who needs to make changes due to life events requiring a move whether upsizing, downsizing, getting into a better school system, or you want to buy investment property, we are here for you. When you’re ready to discuss a Better Way Forward, lets have a conversation. You deserve the significant benefits of an expert and advocate in your corner who cares how your transaction turns out, rather than the limitations inherent in using an agent/generalist – even (and sometimes especially) high volume self professed “top selling” agent/generalists! I can assure you sales volume has nothing to do with quality, integrity, or competence – or how well their sellers fared, and yes, I can prove that. I am available to do the necessary due-diligence and deep level market research necessary to pin point the best homes available for buyers, and for sellers I have a Proven marketing system that routinely beats “high volume agents” and agents from “the big box national franchise firms.” For example – SOLD results including getting top prices in many area neighborhoods, and a better than 95% List-To-Sell Ratio – over an 18 year time span! I can show you how to get your home sold for top dollar as well as how to make cost effective up upgrades, repairs, and improvements – I can even oversee that work for you. If you are getting your home ready to sell – contact me before you waste money on the wrong things! 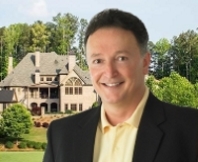 I provide each client unmatched protections and results through focused market specialization, uncommon but essential services, experienced counsel and strategy, and the benefits of diligent personal representation by an experienced East Cobb Broker/Owner. Unlike “big name” agents that manage Agent Teams – I do NOT hand my clients off to assistants, agents, newbie buyers agents, or other less skilled individuals – I provide Direct Broker Representation to every client I work with, and every client has direct access to me at all times. Take a look around this site and don’t hesitate to contact me if you need additional or more detailed information or help to verify any information presented. I am always available to discuss your goals and timeline to purchase or sell a home in the Pope High School District, and would consider it an honor to be of service and help make your families dreams come true.